It has been a long, hard few months for John Terry. He has come under fire for alleged racism, been stripped of his England captaincy, red-carded against Barcelona, missed an opportunity to play in the Champions League final, and had his beloved Chelsea win the European title without him. He earned criticism for wearing his uniform during celebrations (as he was directed to by UEFA), having his date in court pushed back until after the Euros (beyond his control), and been accused of causing potential rifts in the England squad (he hasn't). Yet for today, he is able to put all of that criticism on the back burner because he is England's hero and savior once again. Terry's moment of heroism occurred in the 62nd minute when a long ball reached Anatoliy Yarmolenko (in offside position) who moved the ball to Marko Devic. Devic's low shot was deflected by Joe Hart, but the ball popped over the diving keeper drifting agonizingly close to the goal line. As the ball appeared to cross the line, John Terry dove and cleared the ball from danger with an overhead kick. 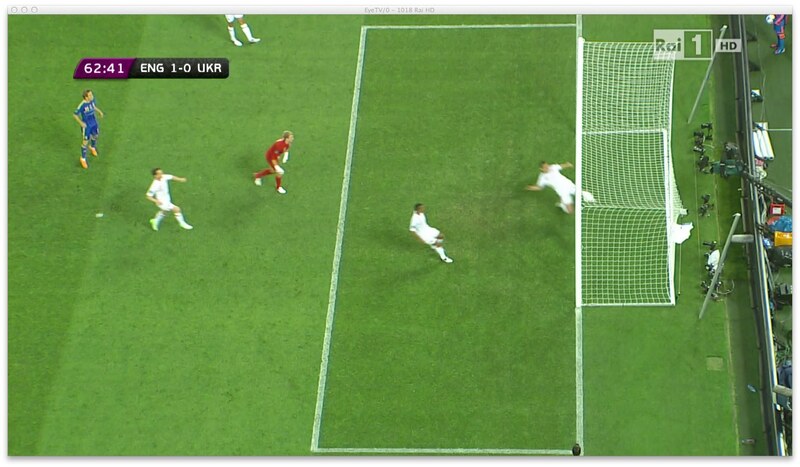 Despite the protests of the Ukrainian fans and players, the referee continued play and England's Brave John Terry had saved the day. 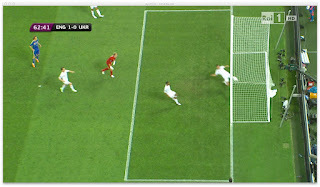 England was the victim of a similar decision at the 2010 World Cup, when Frank Lampard's shot against Germany looked to have crossed the line. With FIFA set to vote on the use of instant replay and goalline technology use next month, these two incidents will surely be at the center of the debate. FIFA President Sepp Blatter has already changed his mind on the issue and now supports the use of technology to assist referees, all it took was a decision to go England's way. Wayne Rooney signaled his return to the England squad following his two match ban with a goal just minutes into the second half. 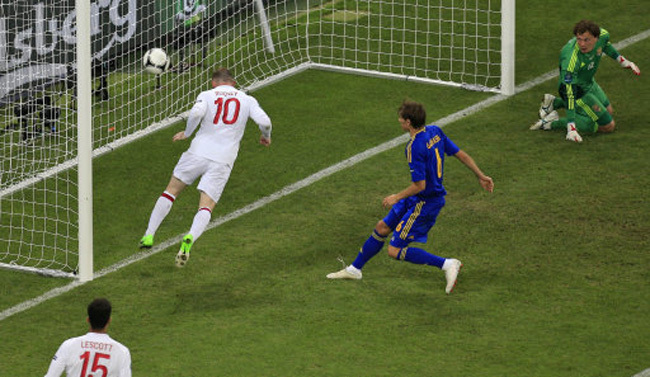 After an unimpressive first half display where he missed a prime scoring chance, Rooney headed home the winner for England just three minutes into the second half. Steven Gerrard's cross was deflected, but somehow bounced through the hands of Andriy Pyatov and onto the balding head of Rooney. It was Rooney's first major tournament goal for England in 673 minutes. England again displayed the deep lying formation preferred by the squad since Roy Hodgson's introduction as manager. Their attacking ventures forward in the first half were not as enthusiastic as the Ukrainian attacks, but England's defensive responsibilities were capably led by John Terry. Scott Parker turned in another tireless performance in the defensive midfield despite nearly conceding a penalty in the first half, he had several crucial blocks that stopped Ukraine from testing Joe Hart. Steven Gerrard gave another outstanding performance, and was easily Man of the Match after having his cross find Rooney for the goal. This match also featured the swan song of Andriy Shevchenko's international career. The Ukrainian captain played his final minutes in major competition for his country, coming on in the 70th minute after being curiously overlooked by Oleg Blokhin. Shevchenko did not have much impact on the game, his only meaningful contribution coming in the form of a yellow card for a desperate lunge against Ashley Young. It was not a fitting end for the incredible international career that Sheva has had, but at least he was reunited with former teammates Terry and Ashley Cole. With the victory, England have claimed the top spot of Group D and will now face Italy in the quarterfinals. Will Hodgson's defensive tactics continue to produce results?